In a 1994 agreement with the United States (the "Agreed Framework"), North Korea agreed to freeze its nuclear program in exchange for two new pressurized light-water reactors (which are considered less capable of producing weapons-grade plutonium) and 500,000 metric tons per year (about 3.3 million barrels) of heavy fuel oil to meet its energy needs until the new reactors become operational. 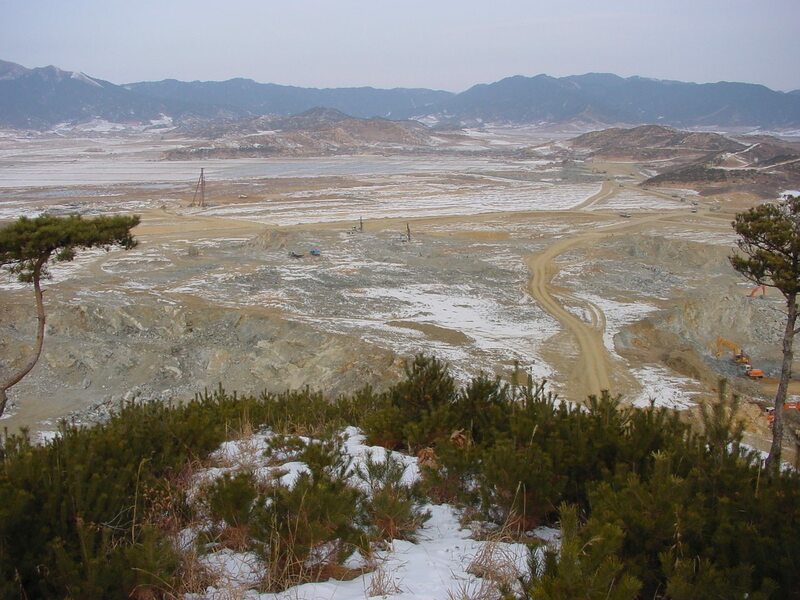 The Korean Peninsula Energy Development Organization (KEDO), an international consortium led by the U.S. government (with South Korea and Japan), was established to implement the agreement. The European Union joined KEDO in September 1997. 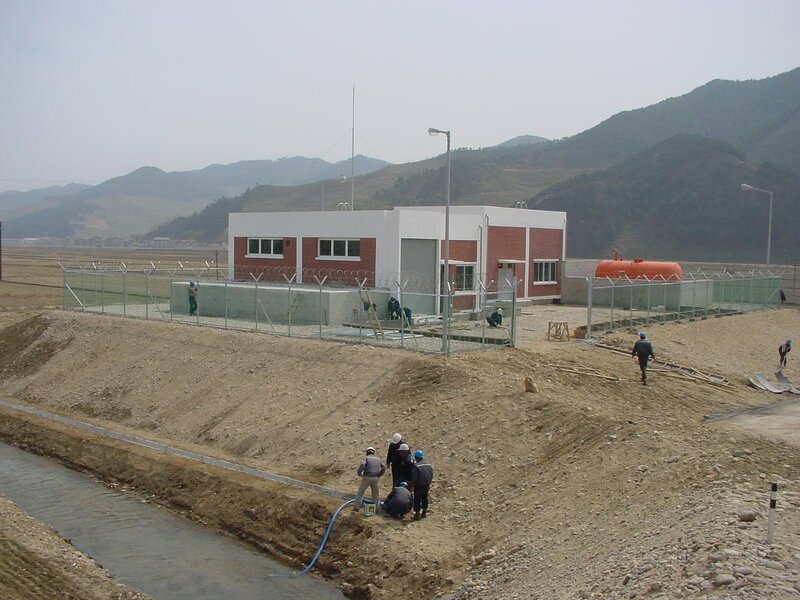 The construction of the light water reactors is to be performed under a contract with the Korean Electric Power Corporation (KEPCO), the South Korean utility. Under the 1994 Agreed Framework, North Korea agreed to halt its nuclear weapons program, and the United States agreed to build two light-water nuclear power reactors. Before the nuclear components of these reactors can be delivered, North Korea must show IAEA inspectors that it has no hidden plutonium for nuclear weapons. As of mid-2002 North Korea has not made a full accounting of its plutonium, nor has it provided IAEA inspectors with access to facilities. North Korea cites delays in the plant's construction. 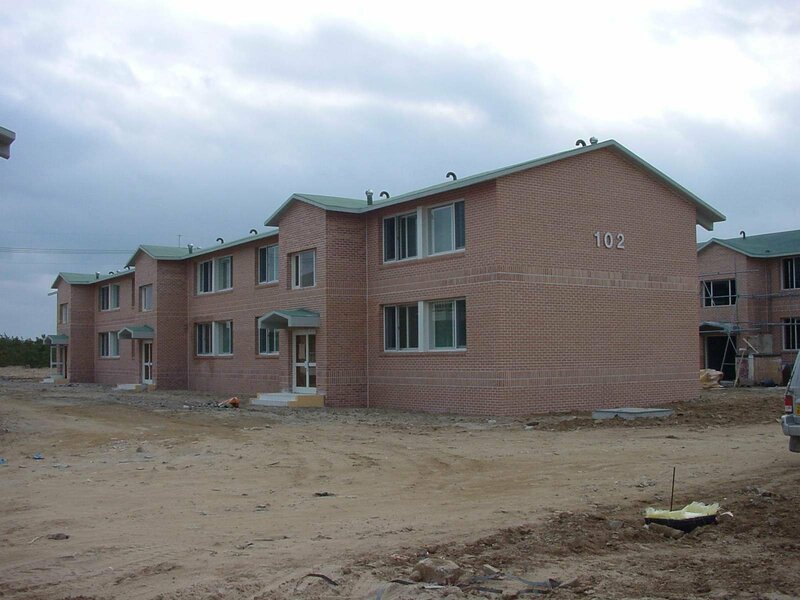 The $4.6 billion project started in 1997, and was originally planned to be completed by 2003. 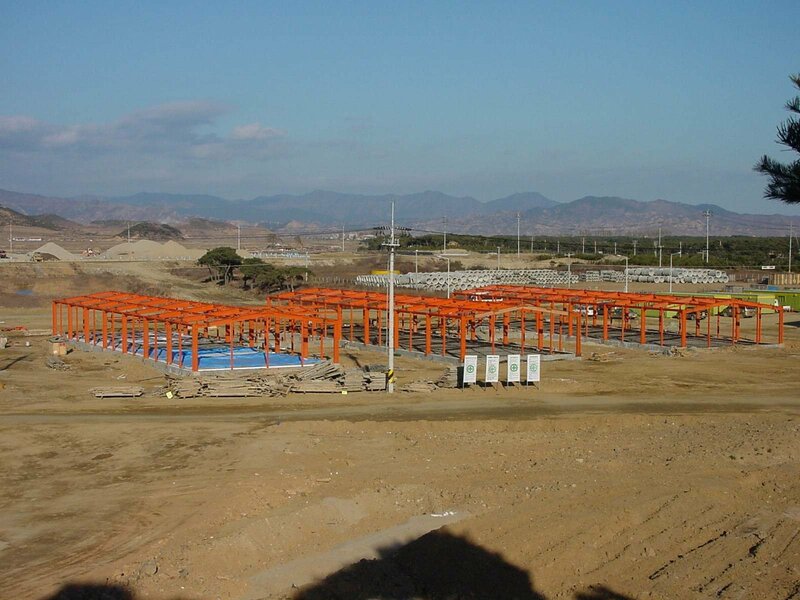 The reactors are now slated for completion by 2008. The IAEA says inspections will require three or four years, and thus must begin by 2003. North Korea is not legally obliged to resolve discrepancies over its past plutonium production until the main nonnuclear components of the light-water reactors are delivered, which is not expected until 2005. By one estimate, these two large power plants are each capable of producing over 50 bombs worth of weapons-grade plutonium within the first 15 months of operation. Some fear that Pyongyang could separate that much plutonium in a few months, either by enhancing its current reprocessing plant or building one or more small laboratories. Japan signed a contract in May 1999 committing to provide its $1 billion contribution to KEDO to fund the new light-water reactors, an action which had been delayed by North Korea's missile test in August 1998. The project is expected to cost a total of $4.6 billion, with South Korea providing the greatest share of funding at $3.2 billion. The United States and the European Union have also pledged to contribute funds. 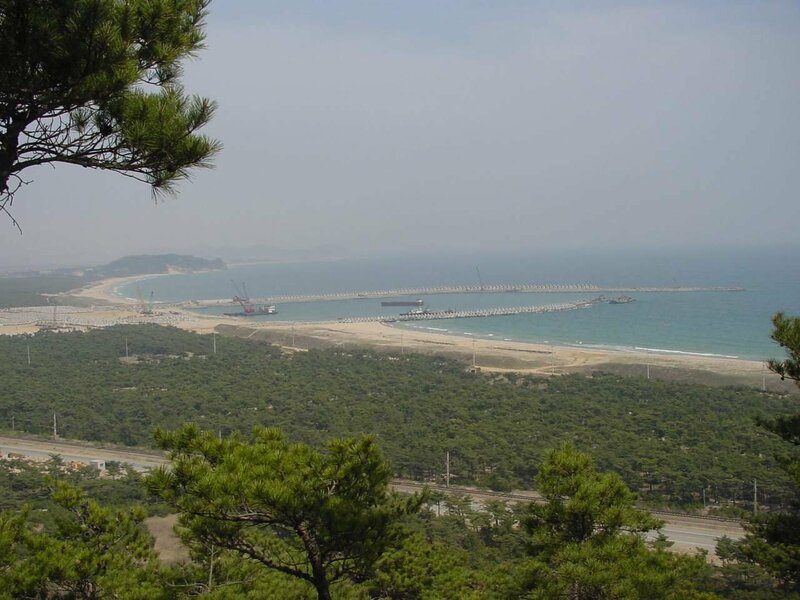 Lying 50 kilometers north of Hungnam, Kumho-ri in Sinpo, a port city on the country's eastern coast, is the project site for the new atomic plants to be built by KEDO. 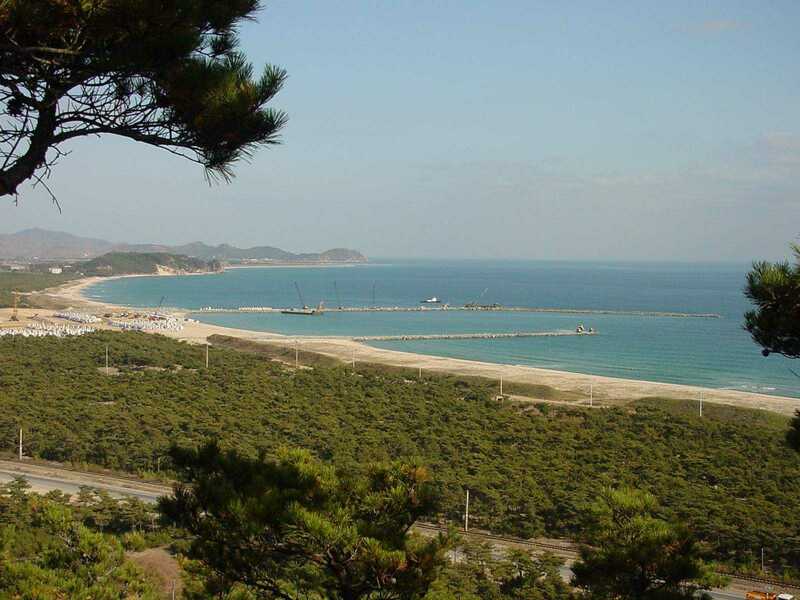 It is within three kilometers of the sea, with a population of only 5,000 within a radius of three kilometers, and has an accessible water supply from the nearby Namdaechon River. In 1985-6 the Soviet Union announced that it was building a nuclear power plant in North Korea, variously reported as either a 400-megawatt-class reactor or a 1,760-megawatt reactor. The Soviet project was part of an effort to persuade North Korea into joining the International Atomic Energy Agency (IAEA). On 26 December 1985 North Korean Workers Party Secretary Kang Song-san signed an agreement with the Soviet Union. Under this agreement North Korea would join the NPT, and the Soviet Union would construct a nuclear power plant in North Korea and commit to a long-term agreement on trade and economic co-operation. 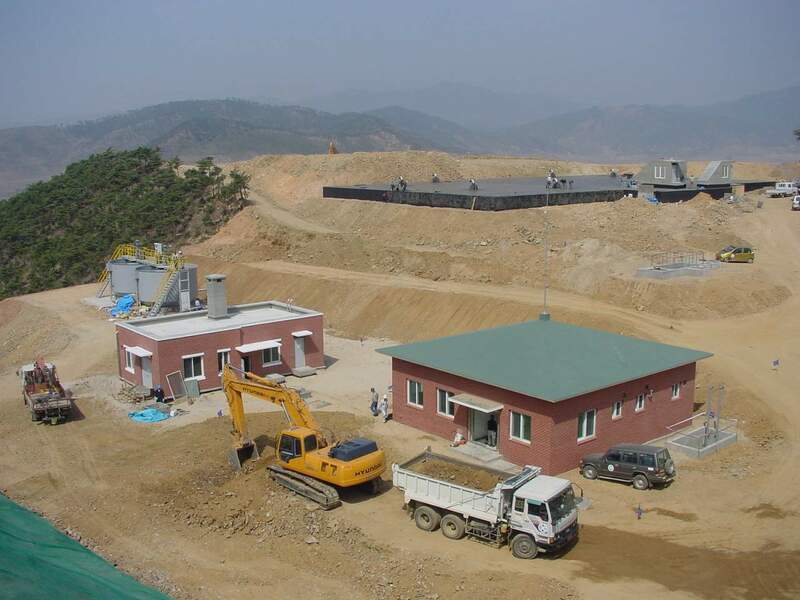 The power plant was to be built near Sinp'o (north Hamgyong Province), consisting of four 440MW reactors (1760MW in total). 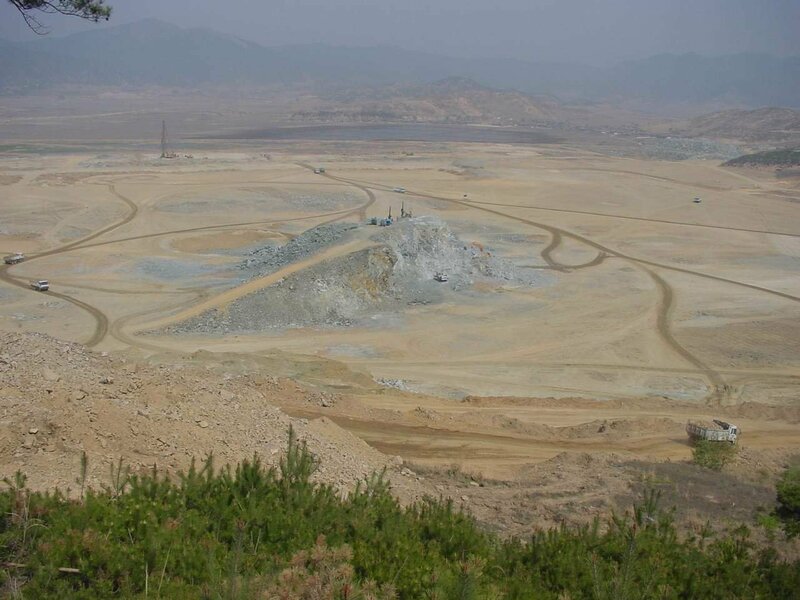 According to South Korean sources, the construction of the plant began in 1990 in the Sinp'o District. Construction of the plant, originally targeted for completion in 1992, was terminated because of pressure exerted by the IAEA and termination of assistance from the former Soviet Union, which was burdened with its own economic difficulties. 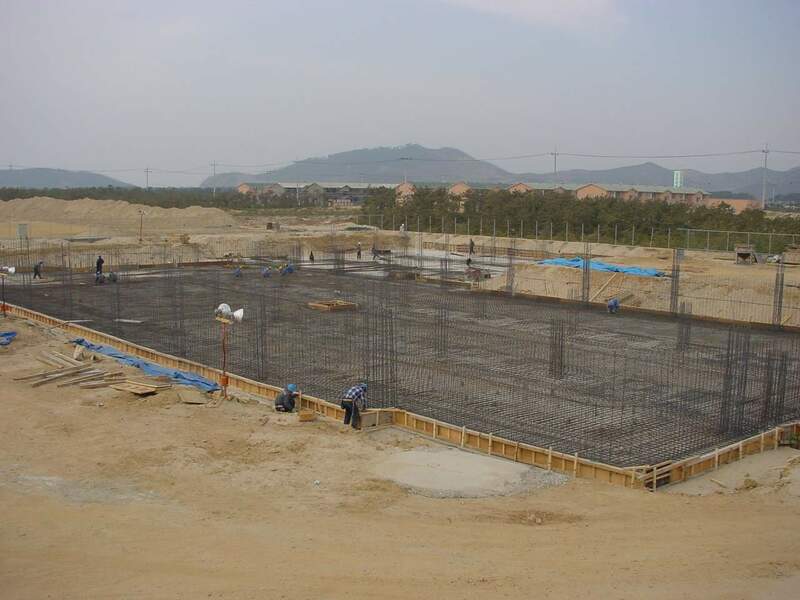 The KEDO nuclear power plant construction site is located 30 km north of Sinpo, South Hamgyong Province, on the east coast of the DPRK. The climate is dry and much cooler in the summer than Pyongyang or Seoul, and the winter weather is moderated by the location near the ocean. The site is very rural; although there is some marginal farmland, much of the area is sand and scrub pines. There is a variety of small wildlife, including rabbits, deer and pheasants, and fish are plentiful in the streams near the site. KEDO's office at the LWR project site in Kumho, DPRK, is responsibile for interfacing with the DPRK to ensure the smooth and expeditious implementation of the LWR project, maintaining order at the site and ensuring the safety of all KEDO persons, exercising all consular protection functions on behalf of all KEDO persons in the DPRK, and overseeing the day-to-day implementation of the project, including coordination of contracts between KEDO's contractors and subcontractors and a DPRK company responsible for the provision of DPRK labor, goods, facilities and other services. The small KEDO community supports a wide range of services, including two restaurants, a medical clinic, stable water and electricity supplies and a sanitary system. Recreational facilities include a videotape library, golf driving range, tennis and basketball courts and a soccer field. Religious groups hold regular services and holidays (such as Christmas, Easter, and Buddha's Birthday) are marked with special celebrations. 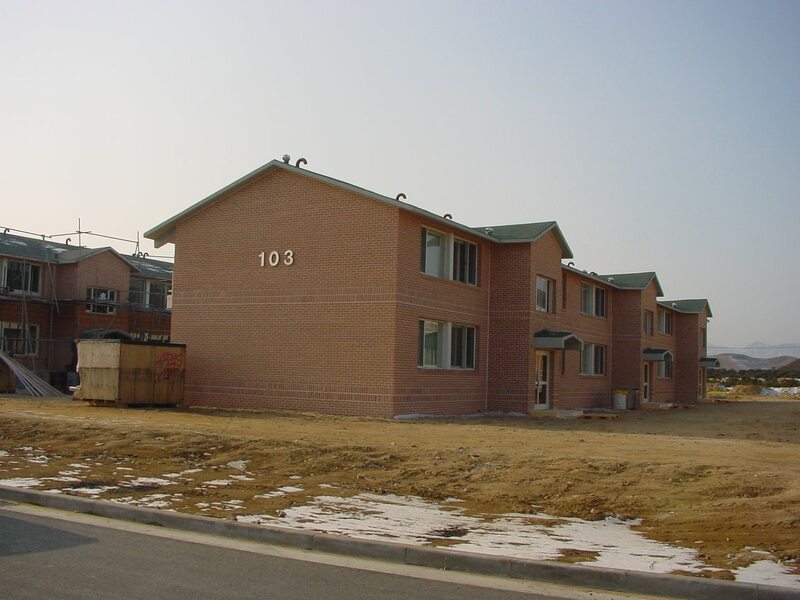 Satellite television service is available, predominantly broadcast and cable channels from the Republic of Korea. Although there is no commercial telephone service between the ROK and the DPRK, there are four leased lines from the site to the south that are operated as a dial-up service by Korea Telecom in Seoul. 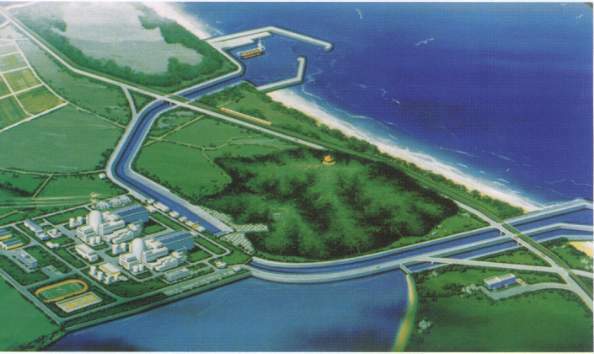 The Ulchin Nuclear Power Plant is the Reference Plant of the KEDO LWR Plant. 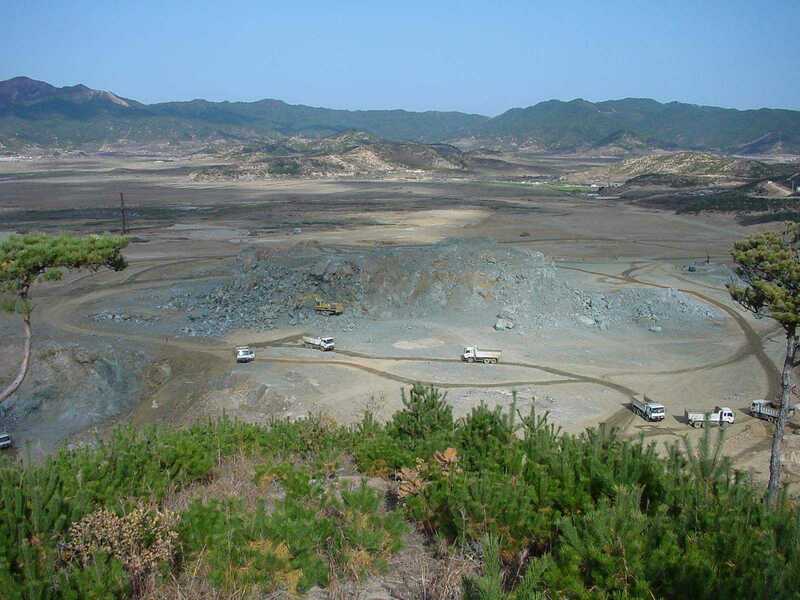 It is located in Ulchin-gun, Kyungsang province, about 300km from Seoul. The first Korean Standard Nuclear Power Plant (KSNP), Ulchin unit 3&4, has achieved notable plant safety and reliability by incorporating the latest worldwide proven technology and operating experience. Ulchin unit 3 started commercial operation on August 11, 1998, and unit 4 started commercial operation in December 1999. 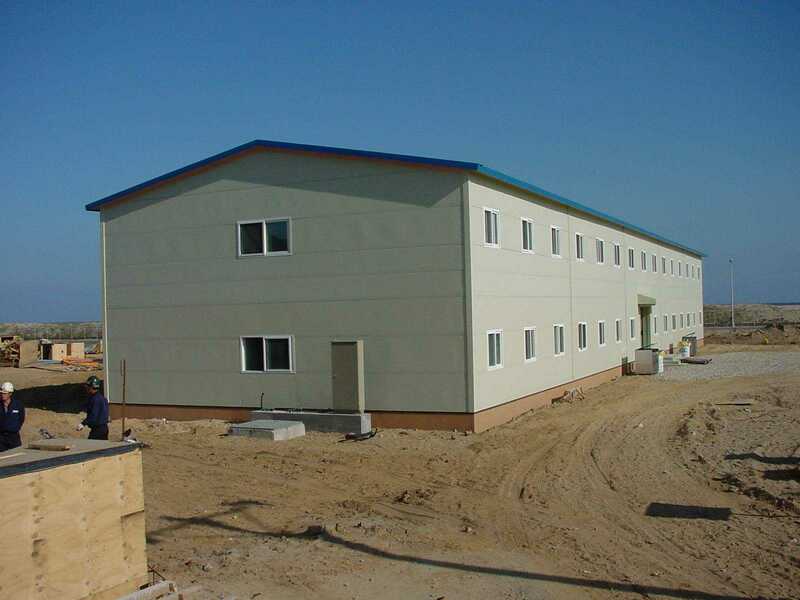 KEPCO created a self-supporting construction complex. 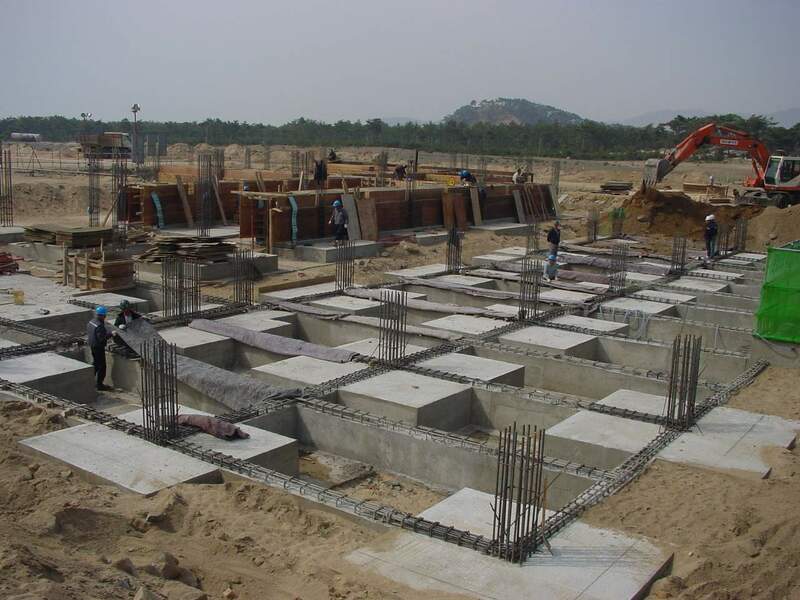 Much of the work performed by mid-2000 was related to establishment of the infrastructure necessary to support the formidable LWR construction effort. 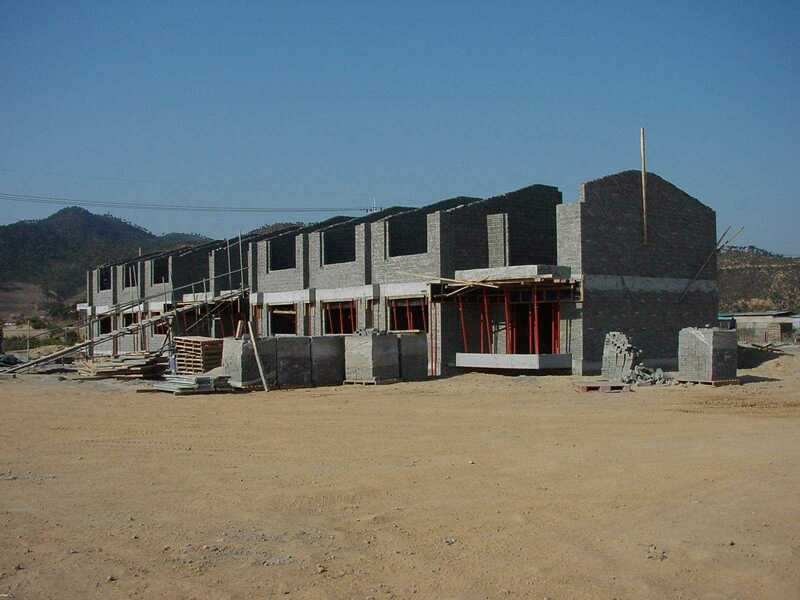 The infrastructure work includes housing for workers and visito rs, construction offices, medical facilities, dining and recreational facilities, banking offices, and other necessary structures such as roads. In addition, KEPCO has established independent supplies of reliable electricity, potable water, and communications. 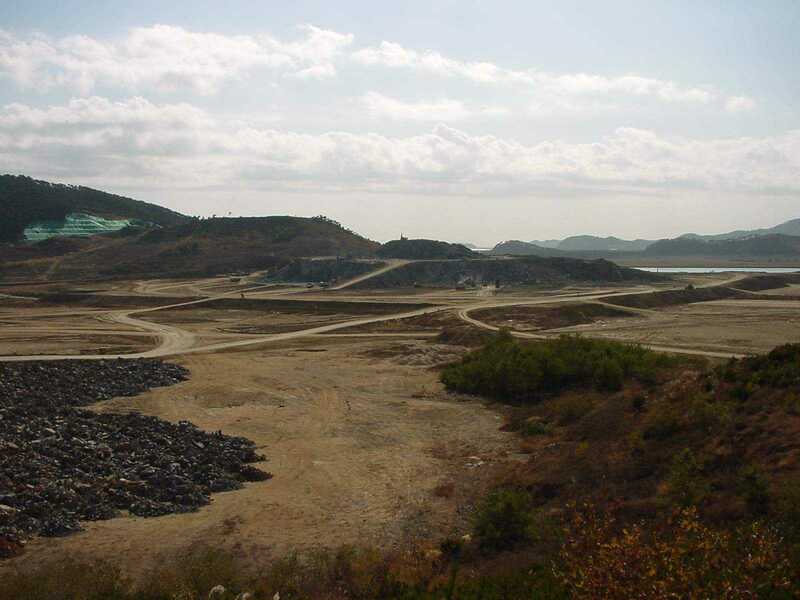 The most significant LWR plant-related work performed by mid-2000 was the excavation of nearly 4,000,000 cubic meters of rock and soil from the mountain in the area where the LWR plants will be located. 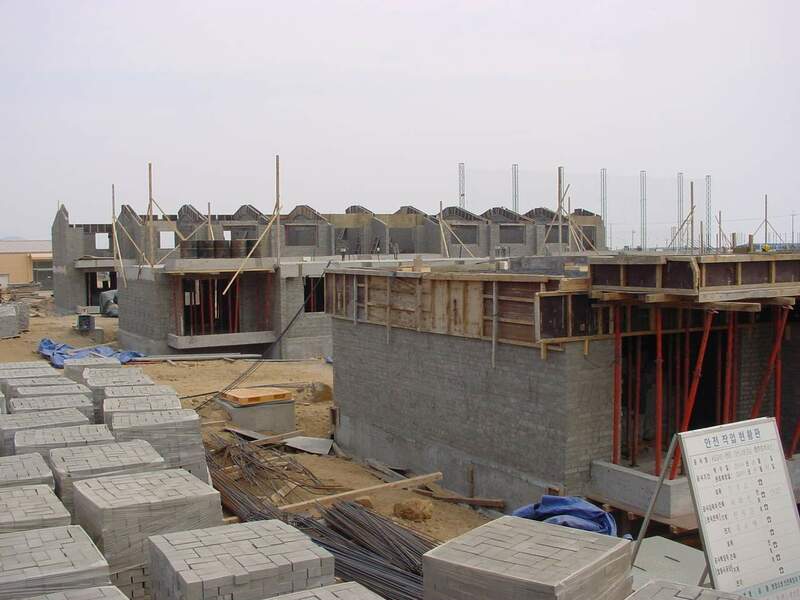 The bedrock exposed by leveling the mountain will form the foundation for the LWR units. 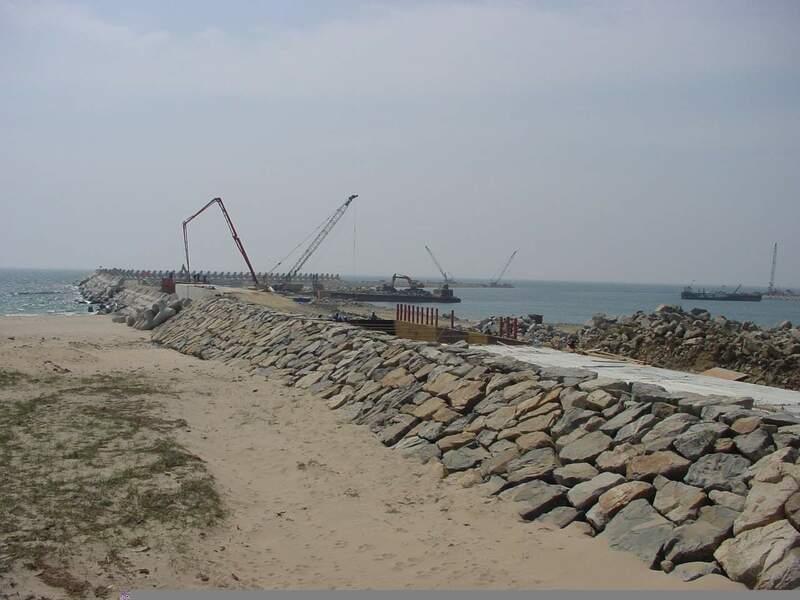 Large rock from the excavation was stockpiled for use for construction of a breakwater and barge docking facility. The breakwater and barge docking facility will form the intake channel for plant cooling water and provide a safe docking facility for barges transporting materials to the site. 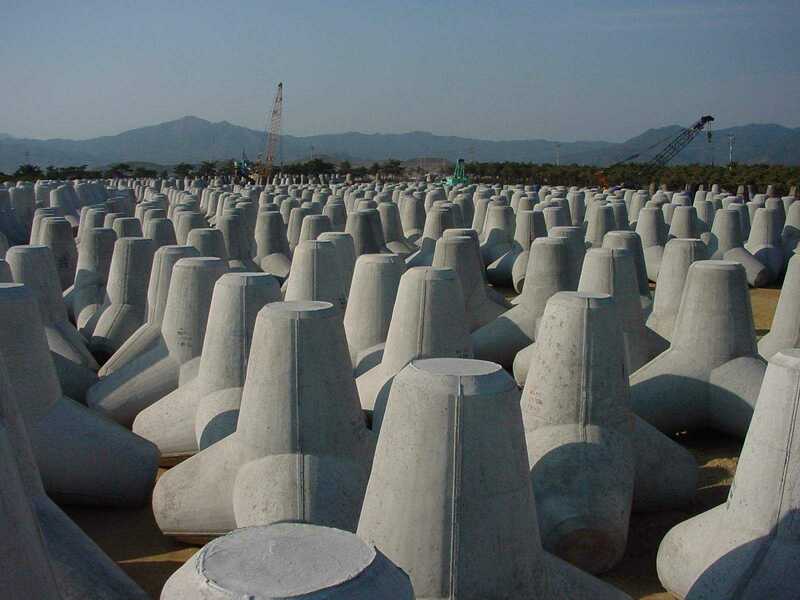 Tetrapods, interlocking geometric shapes made of concrete, will provide sturdy protection to the breakwater against ocean currents. 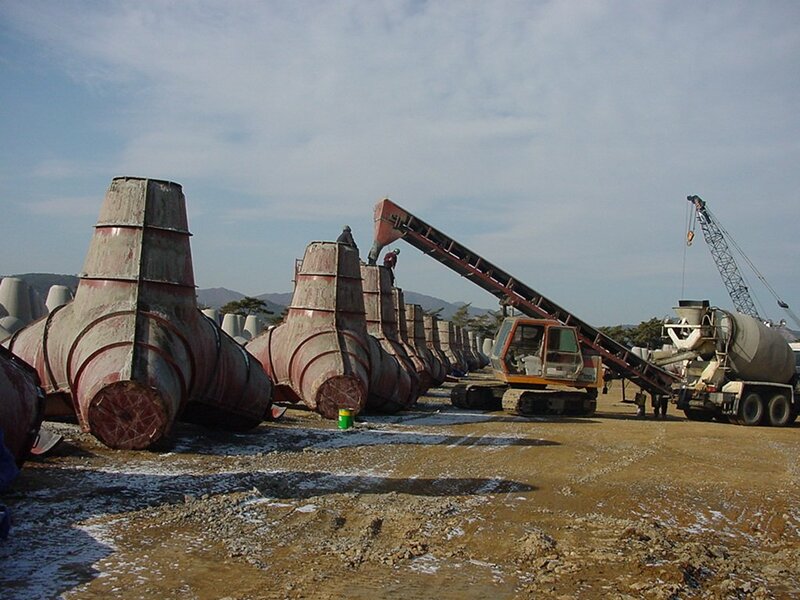 The tetrapods are being manufactured at the site. 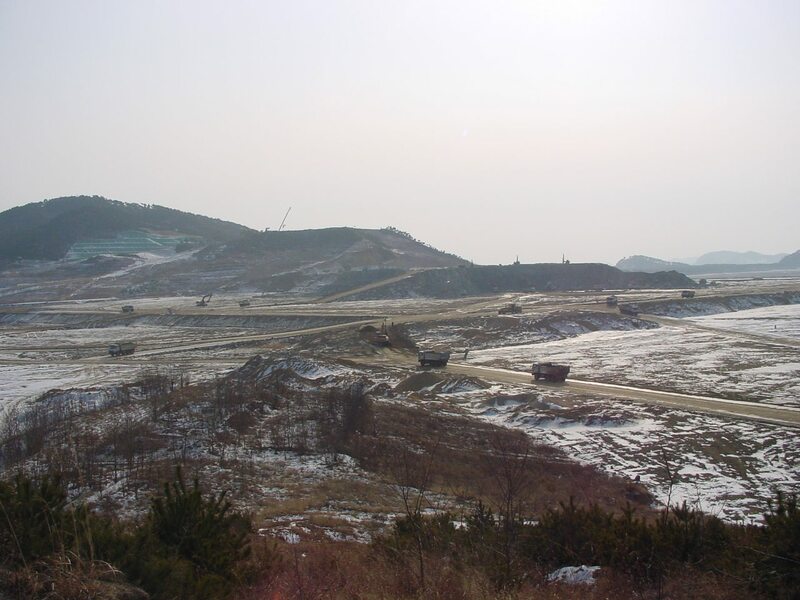 On 21 November 2003 the members of the Korean Peninsula Energy Development Organization -- South Korea, the United States, Japan and the European Union -- officially announced a decision to halt work at the nuclear power plant construction site in North Korea starting early December 2003, and effective for a year. Despite the decision, Chang Sun-sup, chairman of the KEDO executive board, told reporters on 12 November 2003 that the suspension of construction, decided during a meeting in New York in early November, was open to reversal if the nuclear weapons standoff in North Korea took a turn for the better. As the biggest financier of the $4.6 billion project, South Korea stands to lose all of the $931 million it has invested so far if the project is scrapped for good. Japanese and South Korean officials expressed hopes that the decision to suspend construction of two nuclear reactors in North Korea will prompt the isolated communist state to abandon its nuclear weapons ambitions. Japanese government spokesman Jiro Okuyama urged North Korea to take seriously Friday's decision by KEDO to halt work on nuclear power reactors in the North. Mr. Okuyama says Japan wants to see a positive response from North Korea, to dismantle its nuclear weapons development program in an "irreversible, complete, and verifiable manner."